He was a Persian physician. He was known as Rhazes in Europe. He also was alchemist, philosopher, and scholar. He was born in Rayy, Iran in the year 865 AD and died in 925 AD. Al-Razi made contributions to the field of medicine, chemistry and philosophy and have written 184 books and articles in various field. He practiced medicine for over 35 years and his medical commentaries contributed mainly to the fields of ophthalmology, obstetrics and gynecology. He also wrote in other subjects, such as physics, mathematics, astronomy and optics. 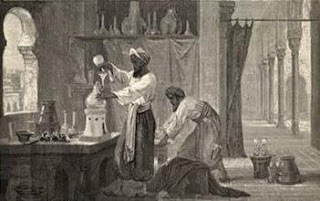 He travel intensively and rendered service to several princes and rules, especially in Baghdad, where his laboratory was located. Al-Razi only started studied medicine at the age of thirty. He did chemistry experiment until he got eye disease, obliging him to search for physicians to cure. He took up study in medicine after first visit to Baghdad. He became Director of Rayy hospital during the reign of Mansur ibn Ishaq, Governor of Rayy. Soon he moved to a similar position in Baghdad and became head of its famous Muqtadari Hospital. A special feature of his medical system was that he encouraged cure through healthy and regulated food. This method was combined with his emphasis on the influence of psychological factors on health. Razi was an expert surgeon, and was the first to use opium as anesthesia. The most sought after of all his composition was The Comprehensive Book of Medicine. It is a large private note book into which he placed extracts from earlier authors regarding disease and therapy and also recorded clinical cases of his own experience. His Comprehensive Book of Medicine was translated into Latin in 1279 under the title Continens by Faraj ben Salim. Another book ‘Book of Medicine Dedicated to Mansur’ was translated to into Latin by Gerard of Cremona and was known as Liber ad Almansoris. 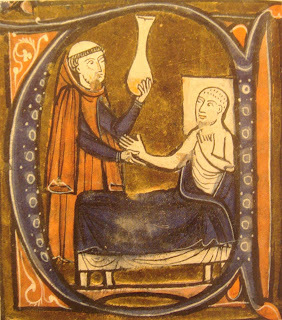 It became one of the most widely read medieval medical manuals in Europe.